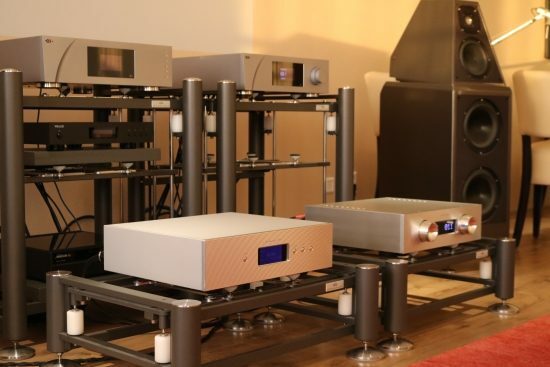 Kinki Studio is a relatively new brand that is now distributed by Boelszaudio, for whom I also reviewed the Xindak XA6950 II amplifier and Aurum Cantus V30M speakers. Like all equipment that they import, Kinki Studio is made in China and they do not try to hide this fact, they’re proud of it! The components certainly do not look like they have been made with cost-saving in mind, rather the opposite, actually. Inside photos show heavy use of solid aluminum and extremely well-crafted circuit boards, laid out in a beautiful architectural manner. 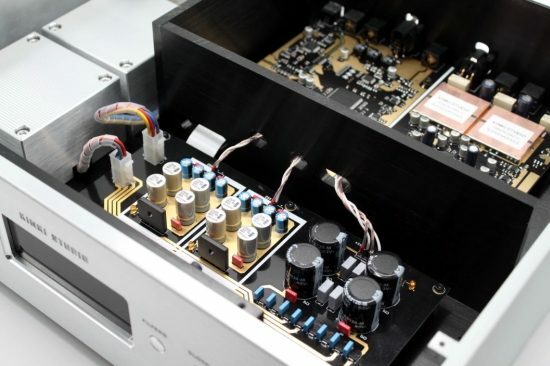 The amplifier’s internal build reminds me of Proceed, Mark Levinson and CH Precision while the DAC’s internal build looks every bit as beautiful as the most exclusive Accuphase designs. The rear panels proudly state “We come from China” but it might as well have said Germany or USA. Not only their looks are all the way up there, the sound quality, as it turns out, is too! The EX M-1 amp uses a microprocessor-controlled, relay-based R2R attenuator to arrive at 256 accurate steps of volume control. 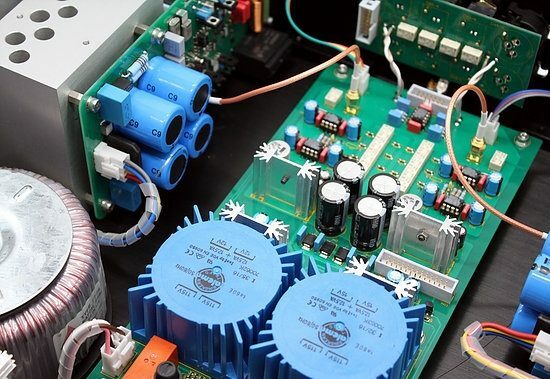 The circuit boards are 0.2µm gold-plated, there are two Amplimo transformers for the power supply (one for the left channel and one for the right channel) and a host of other premium brands of components, such as Wima, Neutrik and Furutech. 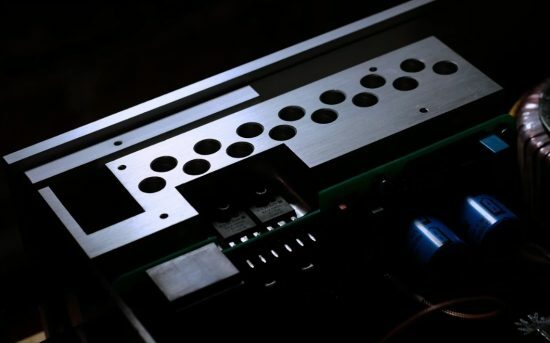 The heatsinks are something special, too, machined from solid aluminum, they have holes drilled through them which correspond with holes in the bottom and top panels to make for a Jeff Rowland-esque appearance, minus the super-tight tolerances of the American brand. The amp is biased in class AB and barely gets warm even under heavy use. Mounted on each heat sink are two UK-made Exicon (Profusion) Mosfet transistors, indicative of a push-pull design. Its output is specified at a very healthy 215W into 8 ohms and a maximum of 700w into 2 ohms, with a very high damping factor of 2000 and a low amount of negative feedback. Distortion is very low at 0.0232%; 0.006% (A-Weighted). There are three cinch inputs and one XLR input. The left knob selects the input when turned and switches the amp on and off when pushed for a few seconds. The right knob is for volume control in 256 extremely small steps. 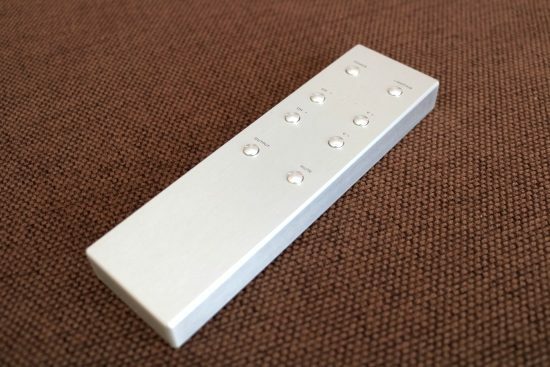 These knobs are made from solid aluminum and look great but are not very sturdy. It seems that they are mounted on plastic rods that are a little flexible. This does not affect the functionality and sound but does take away a little from the otherwise high-end look and feel. The display is very large and can be read from 7 meters distance, even if you are a little near-sighted, as I am. It can be switched between very bright and slightly dimmed via the remote control but the amp does not remember the setting so every time you switch it on, the brightness needs to be dimmed again. 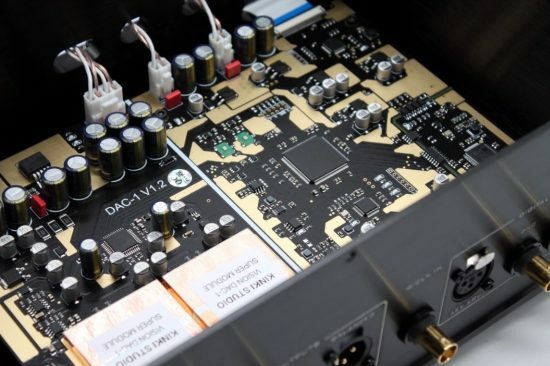 The Vision DAC-1 has the same high build quality as the amp but looks even more beautiful on the inside. 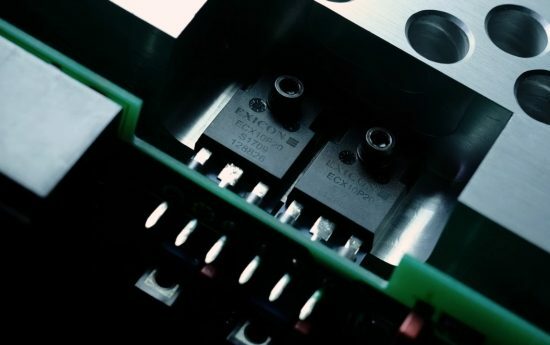 Again, the circuit boards are 0.2µm gold-plated and Amplimo transformers are used here as well, but this time encapsulated in blocks machined from solid aluminum. The DAC chip used is an AKM type, capable of processing all the usual formats including DSD. Quoting from the website: PCM: 44.1, 48, 176.4, 192, 384, 768KHz with sampling rates from 32 to 384KHz and DSD: DSD64 (2.8224MHz), DSD128 (5.6448MHz). All input rates are sampled to 352.8kHz or 384kHz. There are coax, AES/EBU, and USB inputs. It is not specified if the DAC or the output buffers are truly balanced but the outputs are available in both cinch and XLR. With the mechanical side out of the way, we can move on to the more interesting part which is to describe the sound of these components. Both units will be reviewed in my main system, comprised of CH Precision C1 DAC/Controller and A1 power amp, with Melco N1ZH and Antipodes EX music servers and Wilson Watt/Puppy 8 speakers. Interlinks are Cardas Clear XLR and AudioQuest Water cinch, power cables are Belden 19364 with Oyaide 029 Schuko and 004 IEC and speaker cables are Jorma Design no.3. 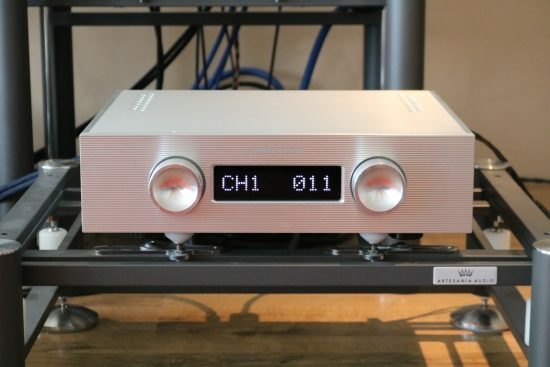 Retaining the CH Precision C1 DAC, switched to fixed volume mode, switching from the 31K CH Precision A1 power amp to the Kinki integrated amp is no hardship. No hardship at all. This is a very fast and articulate amp but there is no hardness or grain and although the amp is incredibly punchy and dynamic, there is never a feeling of being bombarded with a wall of sound. The combination of these factors is not heard very often, certainly not in a relatively affordable price range. This is not the smooth, relaxed and forgiving sound of typically English amps such as Musical Fidelity and Quad or the Xindak XA6950 II for that matter and some people may perceive the Kinki sound as being dry. While I can’t deny that the amp verges more on the accurate side than on the euphonic side, I definitely don’t find it to be cerebral in the sense that it would not deliver emotionally. It most definitely does, and then some! The Kinki amp can certainly convey all the warmth, color and richness that is in recordings with big bass and total authority but there is just no added warmth or smoothness, the sound is pure and honest and timbrally incredibly lifelike. Convergence by Malia and Boris Blank or Bending New Corners by Eric Truffaz or just about any Fourplay CD, for example, sound fantastically smooth and rich yet highly dynamic and energetic. 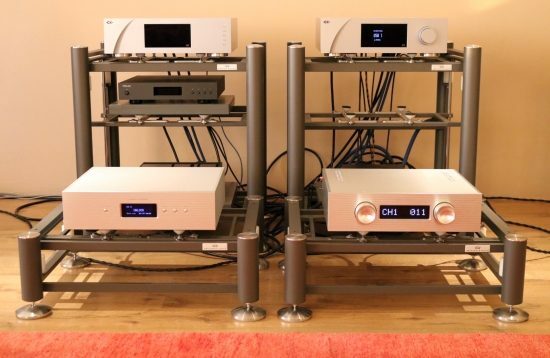 The EX M-1 reminds me a lot of the 9000-euro AVM Ovation A 6.2 amp that I used in various setups as well as to review the Martin Logan ESL11A’s but it also has elements of the Soulution 711 (voluptuous and authoritative), the classic Wadia sound (solid and sonorous) as well the classic Naim sound (upbeat and expressive and engaging), combining into what could be called a Swiss/American/German kind of sound but actually, the best compliment that I can make it that it sounds a lot like a live performance. Where it scores points for me, in particular, is with its bass, which is truly outstanding in its power, grip, and articulation. Not even the NuPrime ST-10, Analog Domain M-75P or the CH Precision A1 can better it in these aspects when used with the relatively efficient Wilsons. I’d have to do an A-B test but I’m not sure if even the 55K Soulution 711 would perform better in the bass with these speakers. 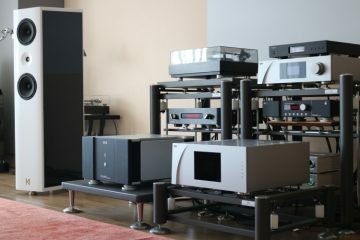 The Soulution, CH and Analog Domain do pull ahead in a couple of other aspects but less so than one would expect based on the enormous price difference. This is the law of diminishing returns: the quality becomes better with greater expenditure but you have to spend ever more to obtain ever smaller improvements. Naturally, it is up to the buyer (and the size of their wallet) to decide if these gains in quality are worth the cost. You know who you are. There is nothing weak or indistinct about this amp and image focus is another strong asset. Centrally placed sounds such as vocals really sound as if they are hammered into place, never wavering to the sides regardless of volume setting and its dynamics are also astounding. It’s as if there is simply never any rounding or compression, no matter if you play softly or at deafening levels. What about subtlety, one might ask. No need to worry: the amp’s got that covered, too, again in an honest, realistic manner. Don’t expect the amp to have Jeff Rowland or CH Precision-like refinement and fluidity but it’s more refined than the NuPrime ST-10. There is just never any masking going on with this amp. Soft sounds are relayed with clarity and a good amount of decay, just less continuous and less hi-res than the best (and very costly) transistor amps can manage. Does that matter? In my opinion, not really. I find that musical emotion lies in natural timbre, dynamics, and overall realism, not in “4K” resolution and ultimate fluidity. These are nice things to have for sure and if possible I’d like to have my cake, eat it and don’t do the washing up but they’re not essential for my emotional involvement. More importantly, if I had to choose between hi-res sound that’s timbrally unnatural and dynamically flat or slightly less hires sound that is lifelike and dynamic then I’ll always choose the latter. 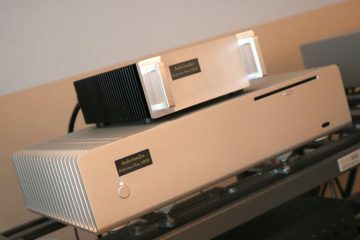 Ayon CD-10 used as CD transport, standing on Artesania ISBAIEBW Standalone Isolation Bases. Now that I had the amp pegged, it was time to assess the qualities of the Vision DAC-1. It offers a nice selection of filters to choose from, ranging from open and precise to slightly darker and more natural. Unlike some other filter implementations that I’ve used, the choice here is not critical but I did prefer the Short-Slow setting which I think best approaches the C1’s Minimum Phase mode. Credit where credit’s due: I have to say that initially, coming from the C1, I was not disappointed but also not impressed by the Vision DAC-1’s performance. There was absolutely nothing wrong with the sound but it just seemed thinner and less powerful. 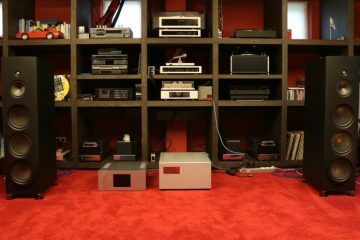 But this is the painful reality of owning a true reference-class DAC with an eye-watering price tag to match (cough- 36.650 euro -cough). It is true that DAC quality, in general, has improved immensely. 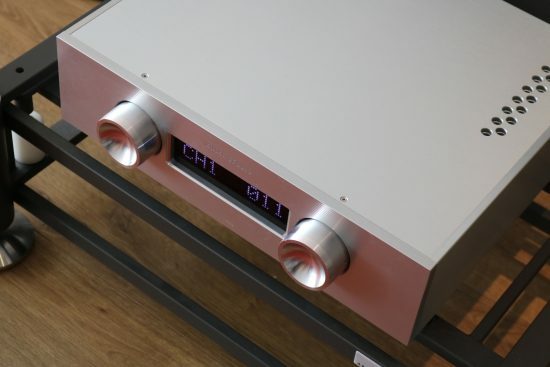 A 2000 euro DAC these days can outperform a 10K+ DAC from the nineties but the C1, for now at least, is simply in another realm. 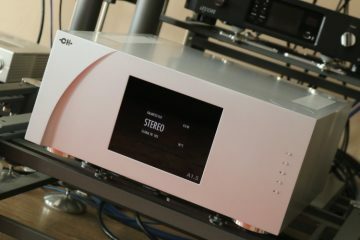 I opted to connect the Ayon CD-10 with its coaxial output and play some CDs using the Ayon spinner and the two Kinki components, while I tended to other business. And sure enough, by the end of the first CD, I noticed how I had been turning up the volume bit by bit and tapping my foot all the time. Clearly, there was something fundamentally very right here and the DAC was certainly growing on me. So much so, in fact, that I played 4 CDs before getting back to the reviewing job at hand. Ayon CD-10 on the left and S-3 Junior on the right. This was just a temporary setup but as it turned out, while the Kinki’s made good supports, the sound was even better when all components had their own individual support. I used it with USB and coaxial, not AES/EBU because I simply did not have a source at hand with this output. Anyway, don’t worry about it: no matter what they tell you, in my opinion, AES/EBU is not by definition better than SP/DIF over coax. Via coax, fed from the Ayon CD-10, it sounds fast and articulate and very expressive while retaining a nice fluidity. When fed from the Antipodes EX via USB, the sound becomes beefier with a more sonorous bass and a more colorful midrange but that’s more the EX’s character shining through than anything else. 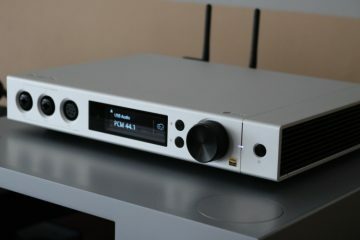 The Kinki DAC’s character itself is apparently unchanged, or rather, it’s actually very transparent to the source and like the amp, it does not add anything of its own. It does always have a confident, fast and articulate, pure, precise and transparent sound, again with highly natural timbre: there’s not a trace of artifice here! 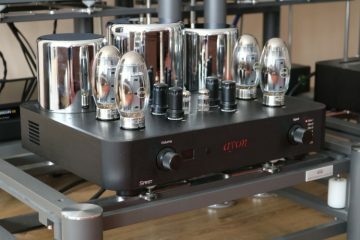 A comparison with the 4000-euro Ayon S-3 Junior streamer/DAC via its coax input shows just how good the Kinki DAC is: while the Ayon is more colorful and fluid (that’s tubes for you) and quite explicit when reviewed on its own, it is less nuanced than the Kinki and considerably less impactful. The Kinki DAC really is great and in a way, it is a bargain but not the incredible bargain that I think the amp is. 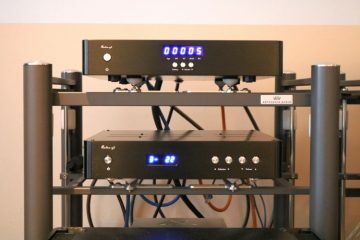 While the DAC does perform better than its price tag would suggest, the amp actually performs in line with products that cost multiples of its price tag. But on the other hand, I would not know of any DAC at its cost that betters it. The Exogal Comet at 2600 euro is very good but also very different and I would not call it better per se. The Bryston BDA-3 DAC at 4150 euro has a similarly lively and dynamic presentation and more powerful bass but I’d have to do an A-B test to see which one I really prefer. Next up would be the Aqua Formula xHD DAC which doesn’t have Bryston-like bass power or solidity but otherwise does outperform the Bryston as well as the Kinki DAC. But the privilege comes at a 13k price tag. I think the tendency is clear: I’m a spoiled brat and this really is a great DAC. 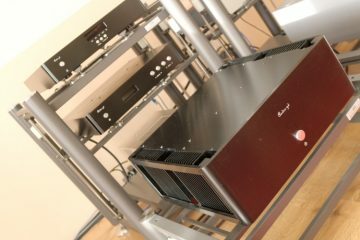 The Vision DAC-1 was only tried in the Artesania Exoteryc rack, which is how I review all the source components. 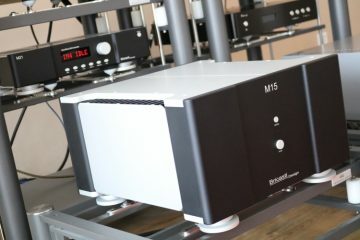 The EX M-1 amp was tried on the floor as well as on the Aire platform which is, in essence, a low profile Exoteryc rack. The amp really sounded very good even when set up straight on the floor and all my initial impressions are based on it being used that way. On the Aire platform, it sounds more gentle and refined but it also loses some of its bass heft. 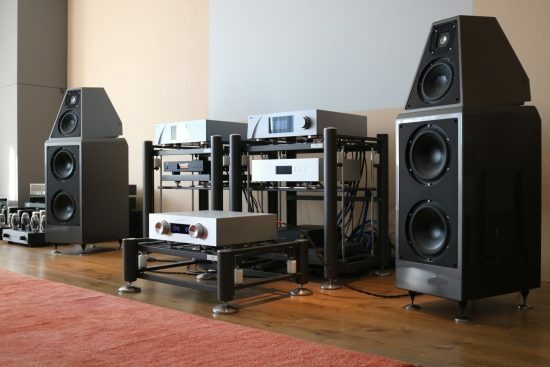 On the floor, it sounds most powerful overall but not quite as refined as on the Aire. This makes me think that a very solid stand (rather than the floor or the Aire) might be best for this amp. 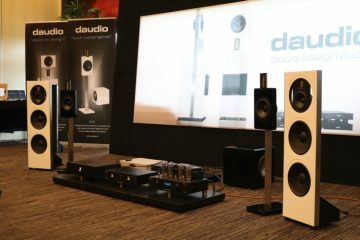 That it sounds as fast and articulate as it does even when on the floor speaks very positively about its design. All interlinks that I tried (AudioQuest Water cinch, Cardas Clear XLR, and Hexlink Golden 5C XLR) worked well between the Vision DAC-1 and EX M-1 amp, the components do not seem fussy about this. Both the DAC’s cinch and XLR outputs sound great, although the latter, in combination with the Kinki amp at least, sound most solid and powerful. 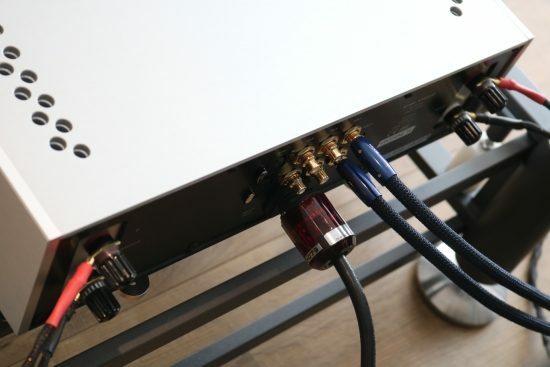 I did notice that a Belden power cable with the smooth and relaxed Oyaide C-079, rather than the more neutral C-004, made for the best balance of virtues for the amp while the DAC’s already impressive resolution was enhanced by using the C-004 rather than the C-079. For me, the amp is the star of the show, with a sound that in part is on par with amplifiers carrying stratospheric price tags. But the DAC should also not be underestimated for it only starts to be outperformed by other DACs costing at least double its price tag. 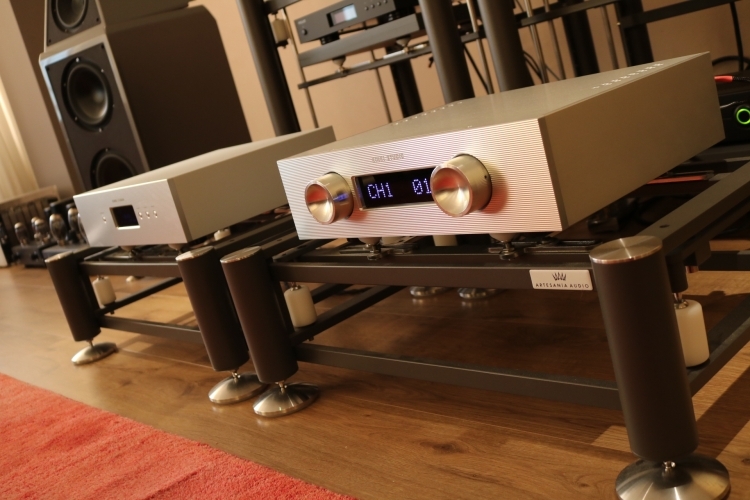 Together, the two Kinki components make for highly involved and enthusiastic listening. They consistently make my foot tap to their supremely confident, rhythmic and dynamic presentation. Very important for me, too, is that there is not a trace of artifice to their delivery: they are entirely lifelike in timbre. This is arguably the most difficult aspect to get right and many components don’t, even quite pricey ones. Clearly, Chinese engineering has come of age and should be taken very seriously. This ampnos getting lots of nice press. I wonder how it would sound on the end of some Aurum Cantus V30M speakers in a small to medium sized room? 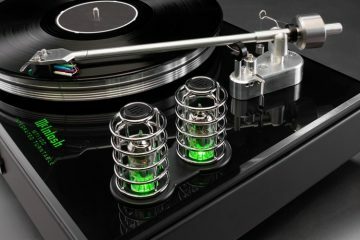 I haven’t tried but imagine that the amp would work very well with those speakers. 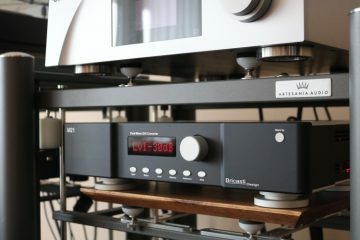 I believe that Dutch distributor Boelszaudio uses this combination, or a similar one, himself. Feel free to ask him. Would this amp work well with a pair of Graham Audio LS 5/9 ? I’ve not yet heard the Graham Audio LS 5/9 but from the looks of it they follow the classic British school and if they sound a bit like Spendor or Harbeth then they should match with the Kinki amp very well indeed. 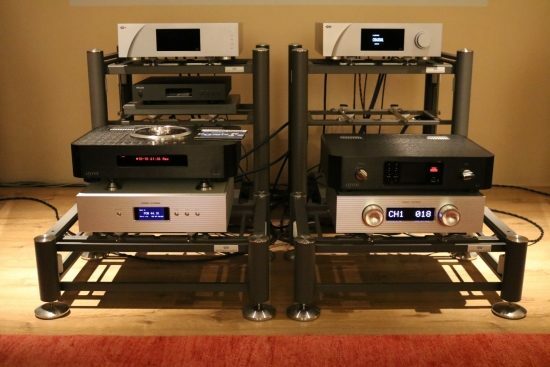 Thanks, have you by any chance heard the Norma ipa 140 integrated amp, and if so, how would Kinki compare with that ? Hi Paul, haven’t heard that amp, sorry. 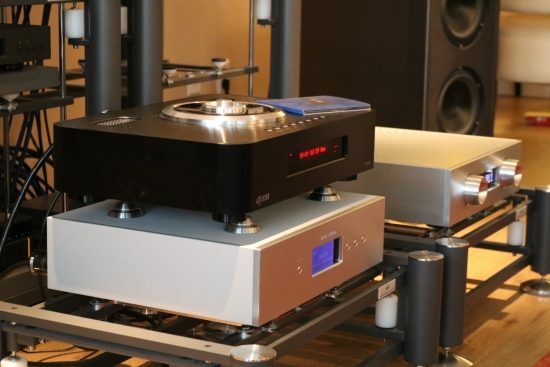 The Kinki sounds like a mixture between a classic Naim and a modern AVM, if that helps.